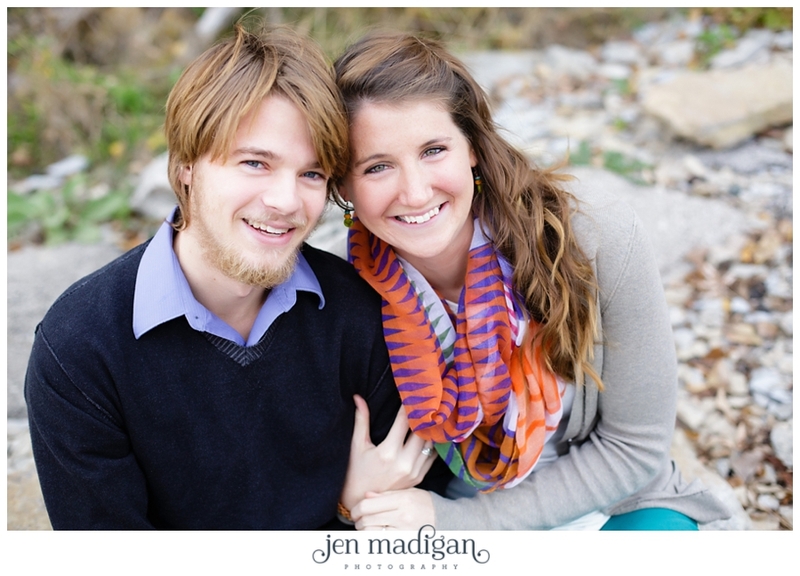 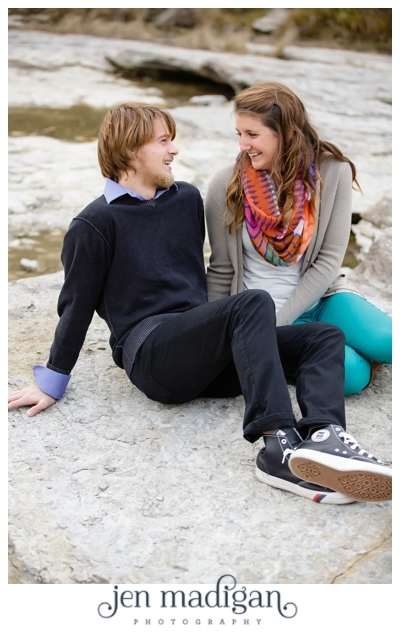 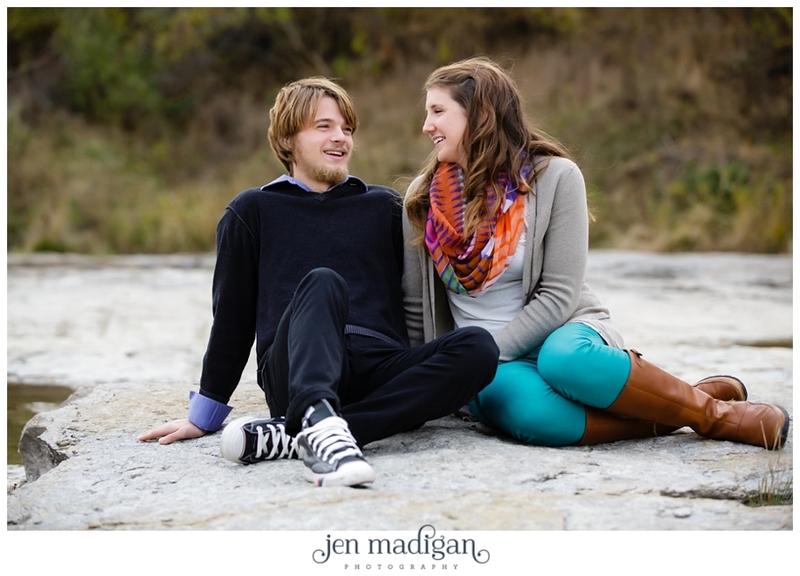 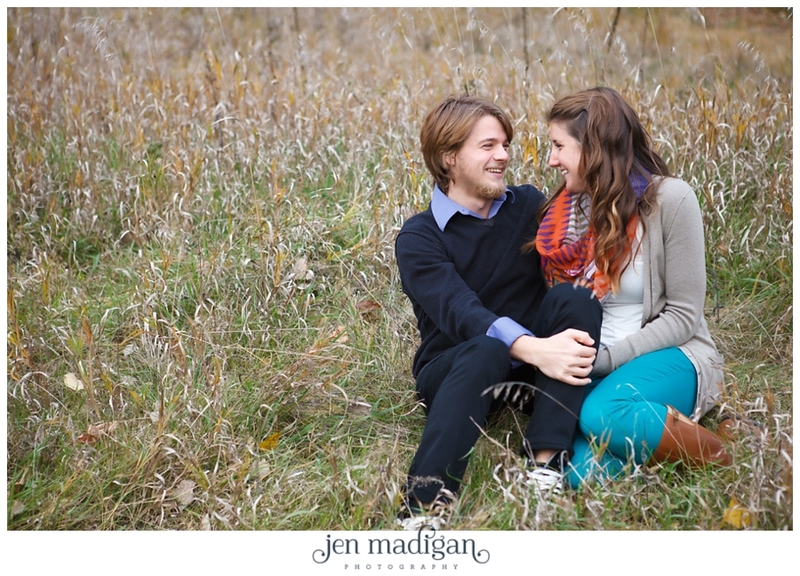 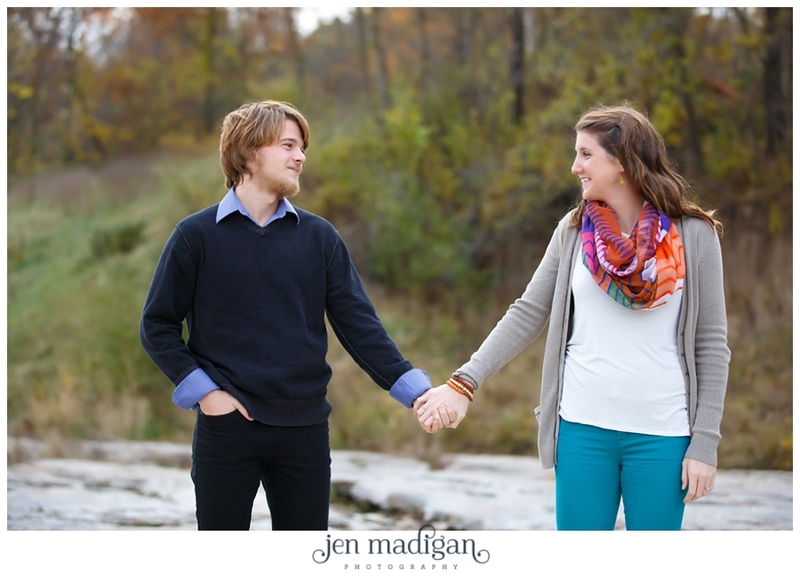 Laura and Jon-Michael are planning an October 2014 wedding at Sutliff Cider in Lisbon, IA. 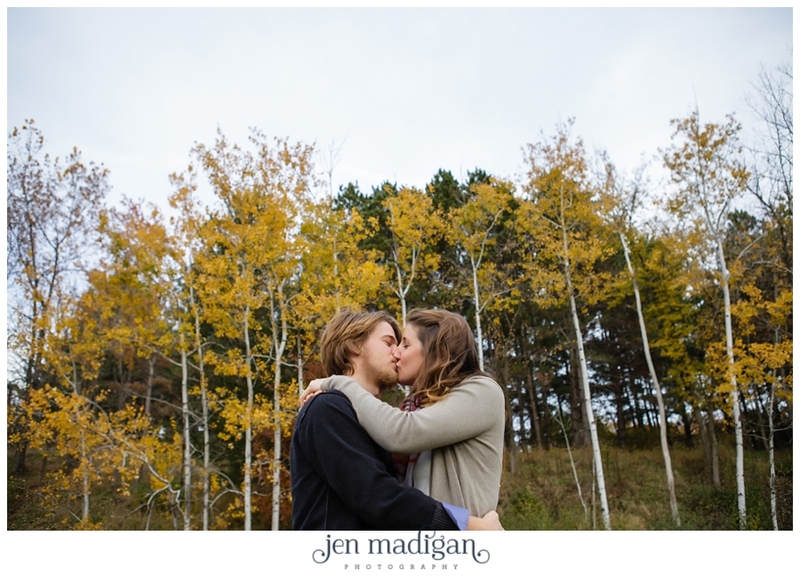 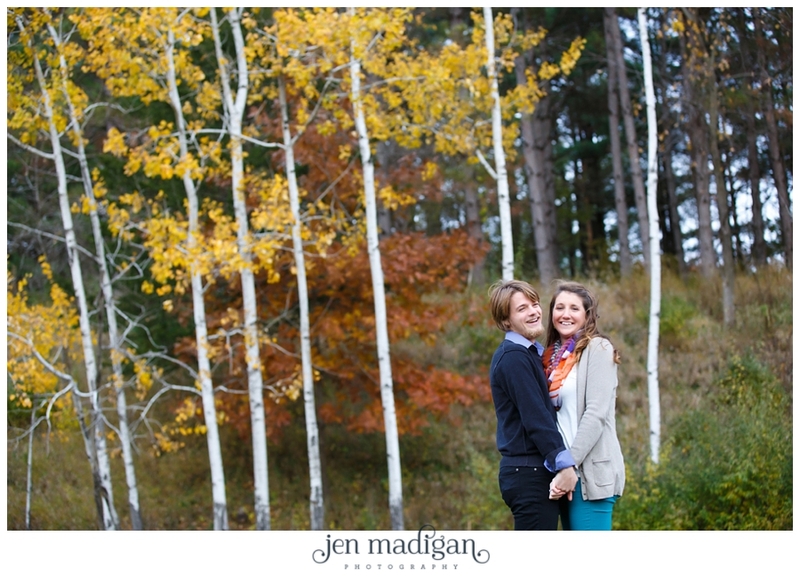 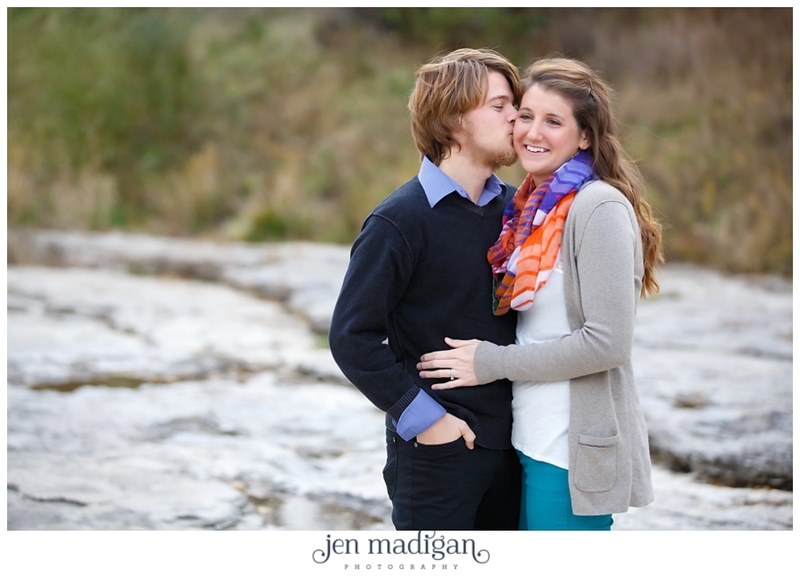 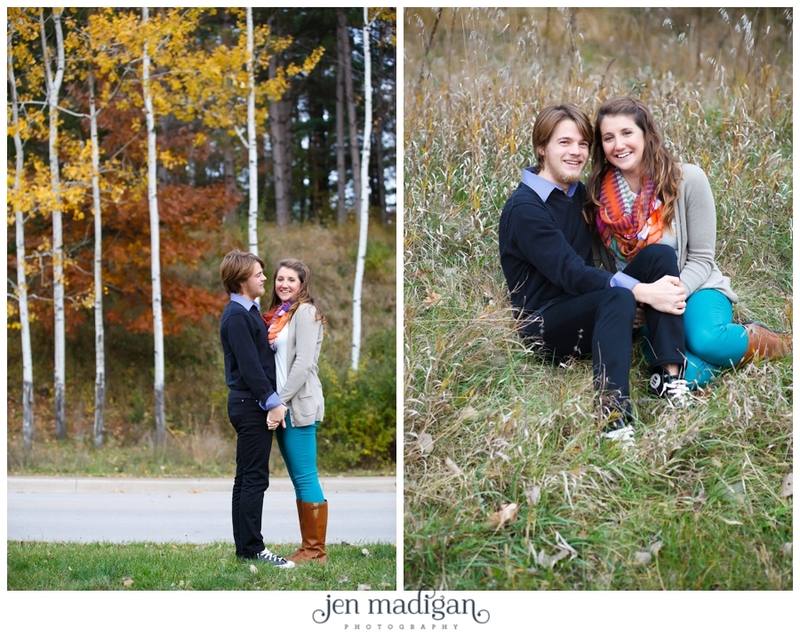 I am so excited to be documenting their big day - these two are a ton of fun! 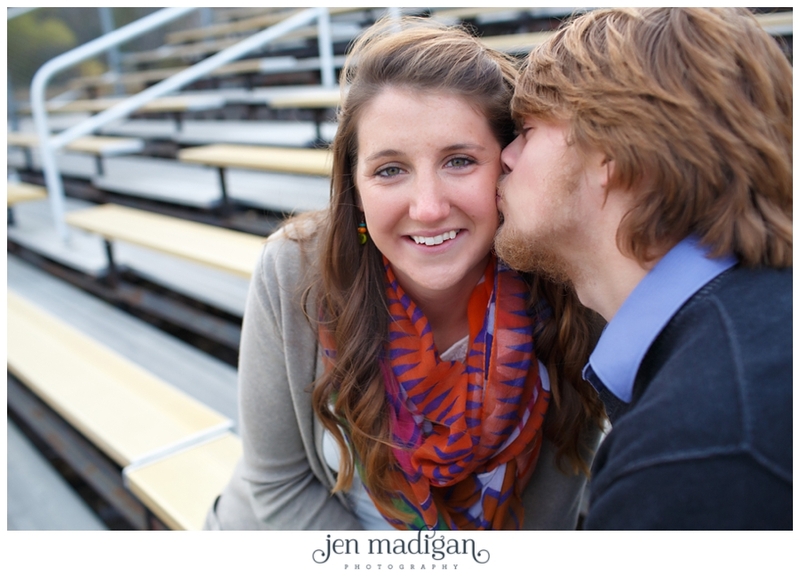 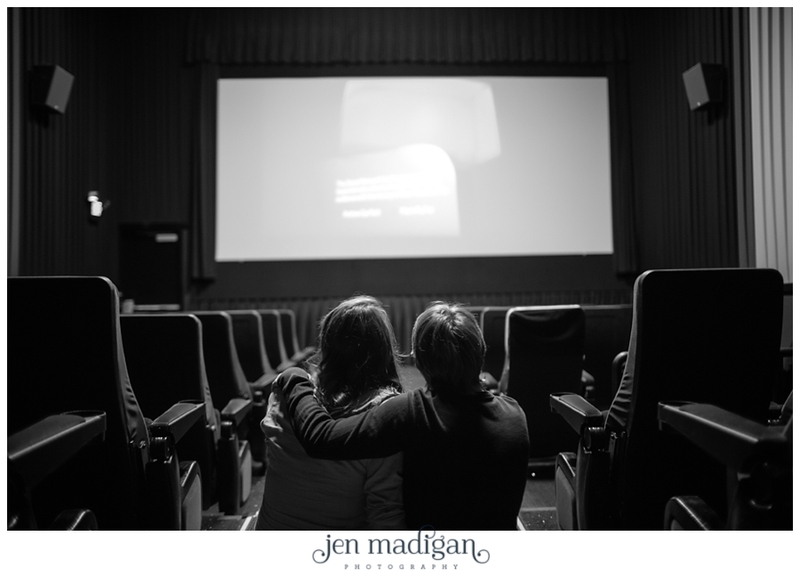 We took their engagement photos on a windy Sunday, beginning at the Devonian Fossil Gorge, swinging by the University of Iowa track (Jon-Michael is on the track team), and finishing at the movie theater (they met while working at a movie theater). 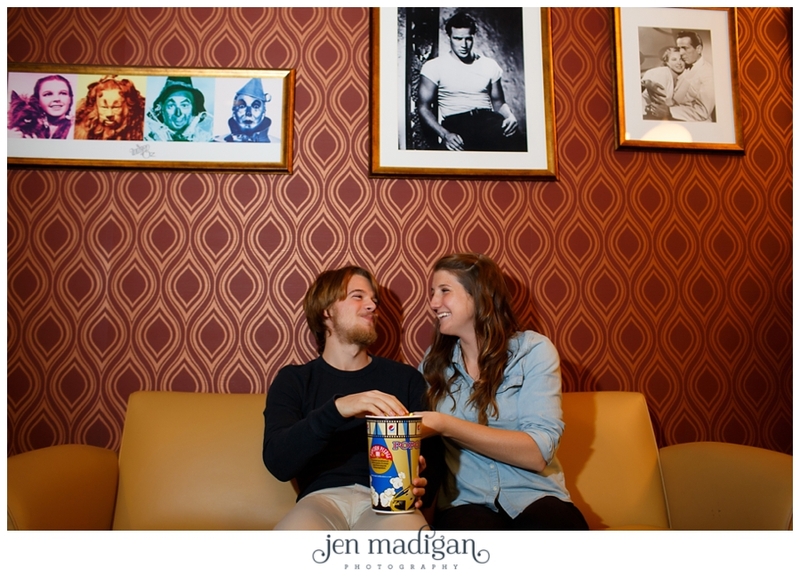 These two are very sweet together, make each other laugh easily, and we had a ton of fun hanging out with them. 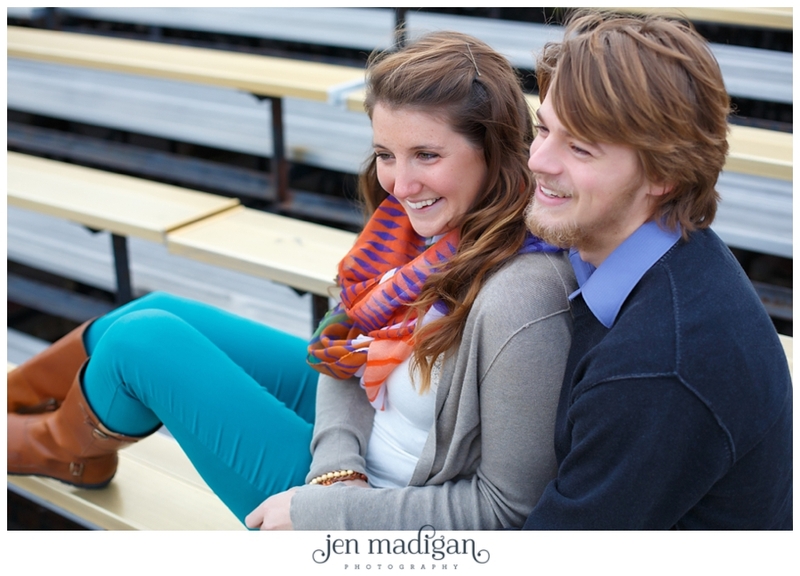 Their level of comfort around each other made my job so easy, and I am very much looking forward to their wedding day. 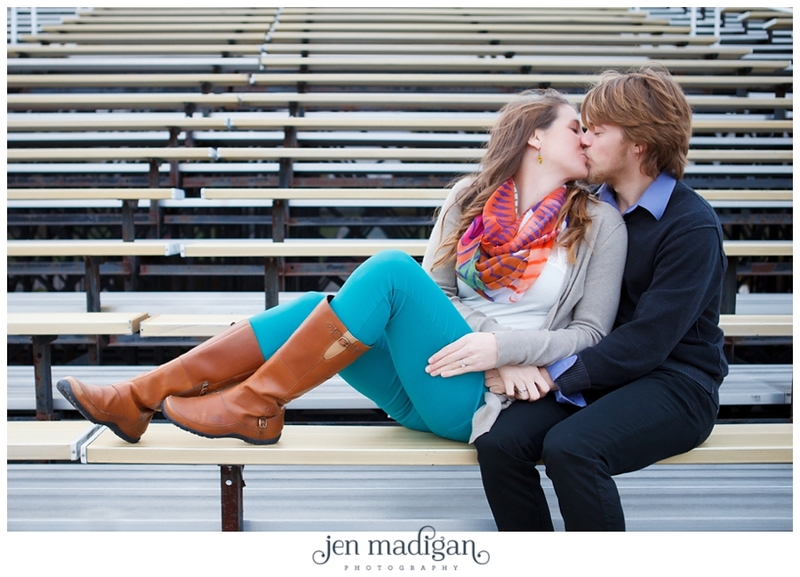 I also appreciate their creativity - the locations they chose for this session were all new for me, which I loved!